The company was founded in 1883. Originally it was a producer of electrical equipment. It became one of the leading German engineering companies. 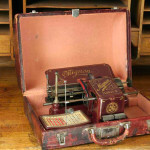 The designer of Mignon was Dr. Friedrich von Heffner-Alteneck (1845-1904) He was an electrical engineer and an inventor. He was working with Siemens, but when his friend and founder of Siemens, Werner von Siemens died, he left the company. 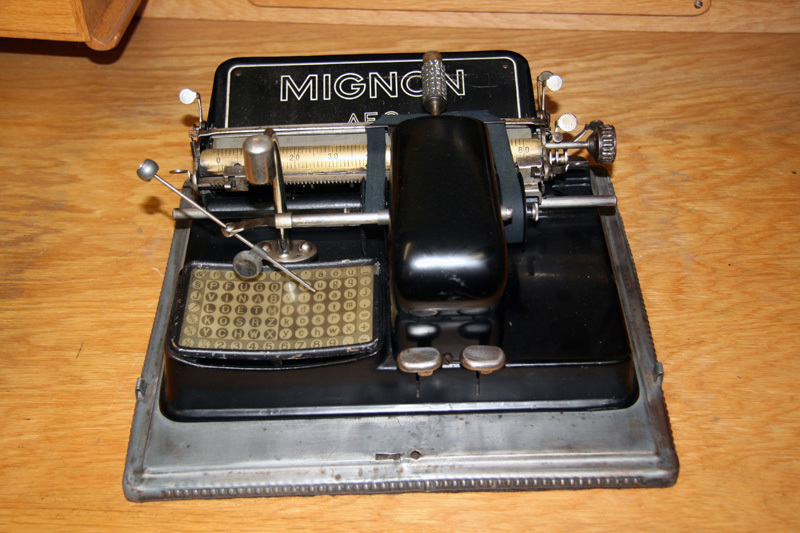 Mignon was an index typewriter introduced in 1904. It was reasonable priced. 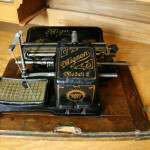 About 350 000 Mignon typewriters were sold before production ceased in the late 1940th. Both the typesleeve and index plate could be replaced. 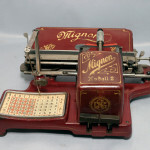 Thus Mignon could be used for writing in several languages. 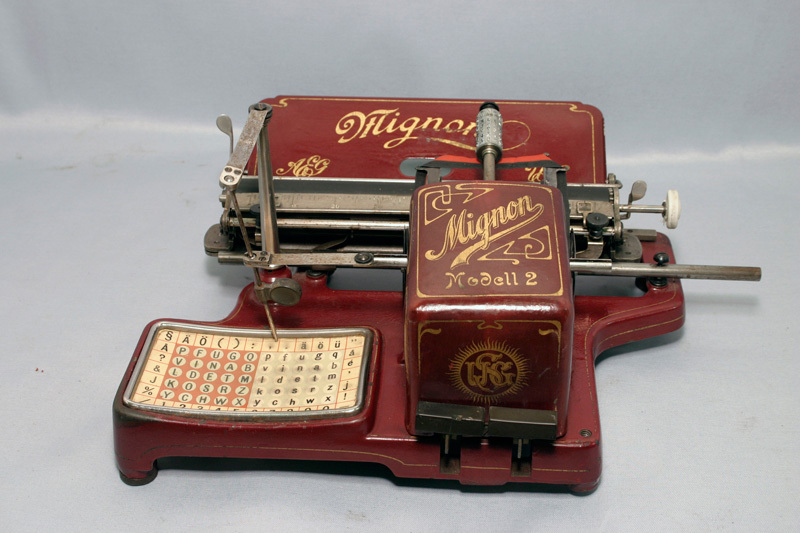 Mignon Mod.1 is rare, as only a few hundred machines were produced. 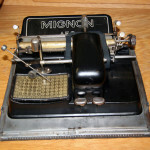 Mignon Mod.2 came on the market in 1905. 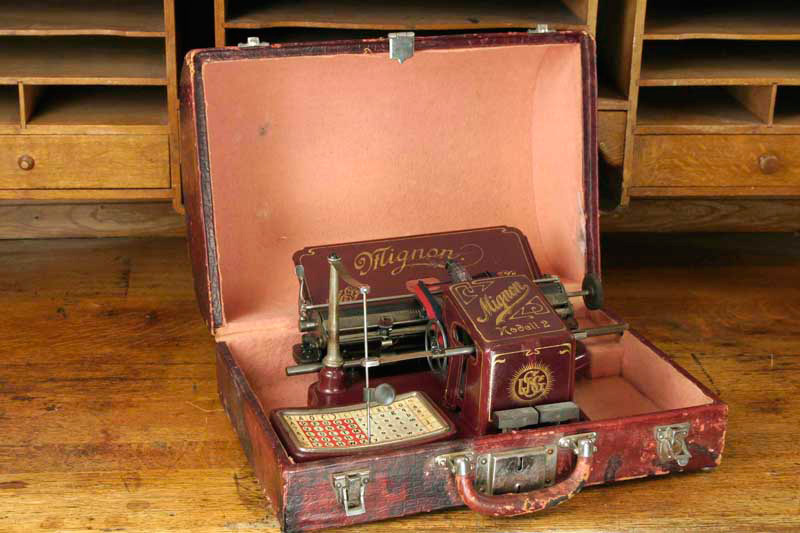 The first typewriters produced were painted red. Soon the color was changed to black. 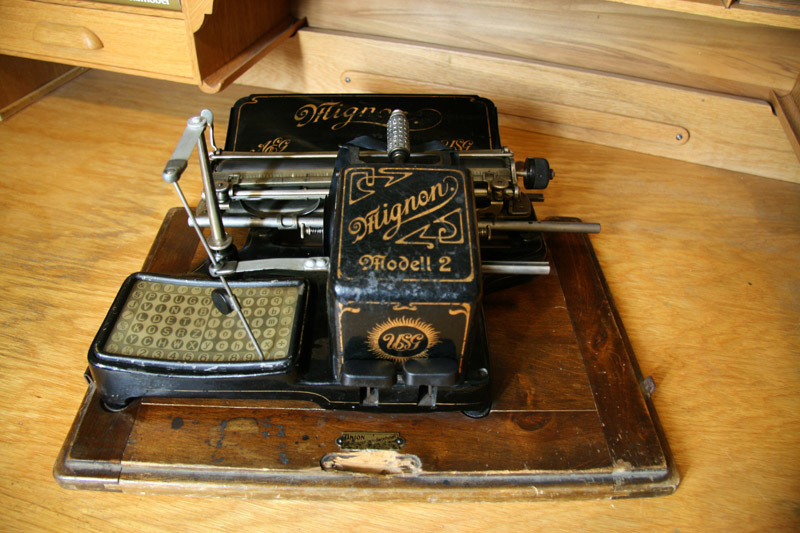 About 40 000 Mignon Mod.2 typewriters were produced from 1905 until 1912. The red Mignon is rare and valuable especially with the red case.